A former police officer has been sentenced to 32 months in prison for making "unwanted" approaches to vulnerable women he met through work. 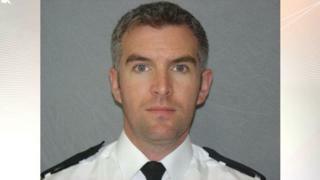 Ex-Northamptonshire Police PC Jason Farquhar admitted contacting the women and also sending explicit photos of himself to a female colleague. Farquhar, 44, of Stamford, admitted six charges of misconduct at Northampton Crown Court. Some of the women came into contact with Farquhar when he was investigating allegations of domestic abuse. Investigators said a two-year inquiry found examples of contact by phone, text or social media, but none of the cases had developed into a sexual relationship.